“Who doesn’t love a good Airbnb house?! While on a quick trip to LA, I invited my local friends over to my Airbnb for a fun meet and greet (or should I say meat and greet) at the amazing Arts District loft I was staying at. Since I was just visiting, I decided to prepare a crowd favorite: meat and cheese boards. Trader Joe’s was my one-stop shopping trip. They have an amazing selection of everything I needed! Figs, peaches, and grapes were in season, so I made sure to get plenty of those, too. 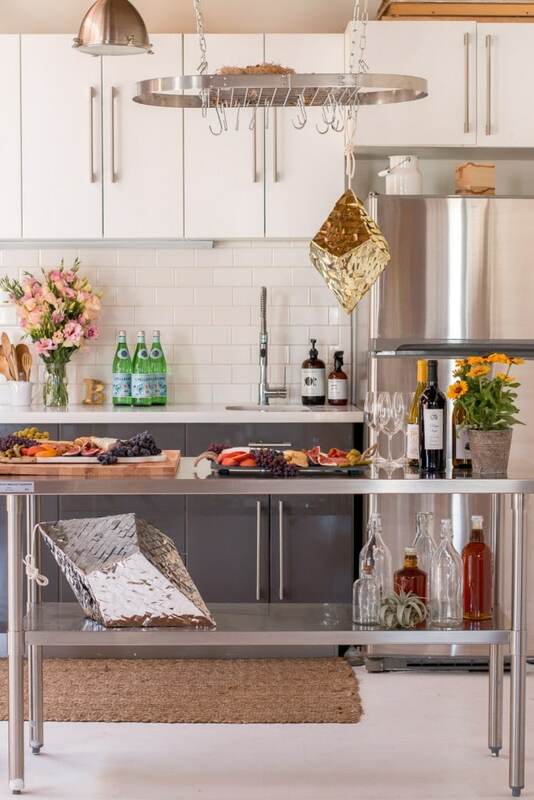 The kitchen island was the perfect place for friends to gather, graze on finger foods, and a grab a glass of wine.